I don't know where. It is not showing on HBO or anywhere on cable. According to my search function in Comcast, it's not scheduled. If it's around somewhere that isn't a film festival, where a regular Jane Q Public could see it, I'd love to know. Maybe the answer is buried in some of the many posts I've not seen, but in any event, I've no idea of where to find it. Hulu??? Posted by Kirstie Alley: HBO's film is a small dog running along side the wheels of a big fire engine, speeding it's way to put out a blaze. We have no time to concern ourselves with the yapping dogs while we save mankind. Posted by John Travolta: HBO's film is a small dog running along side the wheels of a big fire engine, speeding it's way to put out a blaze. We have no time to concern ourselves with the yapping dogs while we save mankind. Posted by Tom Cruise: HBO's film is a small dog running along side the wheels of a big fire engine, speeding it's way to put out a blaze. We have no time to concern ourselves with the yapping dogs while we save mankind. Posted by Nancy Cartright:HBO's film is a small dog running along side the wheels of a big fire engine, speeding it's way to put out a blaze. We have no time to concern ourselves with the yapping dogs while we save mankind. Posted by Jenna Elfman: HBO's film is a small dog running along side the wheels of a big fire engine, speeding it's way to put out a blaze. We have no time to concern ourselves with the yapping dogs while we save mankind. Because they all responded identically, a followup question was sent to them, asking: It seems that your answer is remarkably similar to other Scientology celebrities. How do you account for this? Posted by Kirstie Alley: I have no idea what you are talking about. Scientology places a huge value on individuality and self-determinism and never evaluates or tells us what to think or say. Posted by John Travolta: I have no idea what you are talking about. Scientology places a huge value on individuality and self-determinism and never evaluates or tells us what to think or say. Posted by Tom Cruise: I have no idea what you are talking about. Scientology places a huge value on individuality and self-determinism and never evaluates or tells us what to think or say. Posted by Nancy Cartright: I have no idea what you are talking about. Scientology places a huge value on individuality and self-determinism and never evaluates or tells us what to think or say. Posted by Jenna Elfman: I have no idea what you are talking about. Scientology places a huge value on individuality and self-determinism and never evaluates or tells us what to think or say. It is not released to the public yet. It is just showing at Sundance....where they screen new movies. There was a post about a distribution company that had bought the rights to show it.....but don't know where that post is. It'd be great fun to watch it with the wonderhusband. Sublime HH. a masterpiece! and so true!! 1. WHY DID SCIENTOLOGY "PULL IN" THIS "MOTIVATOR"? 2. 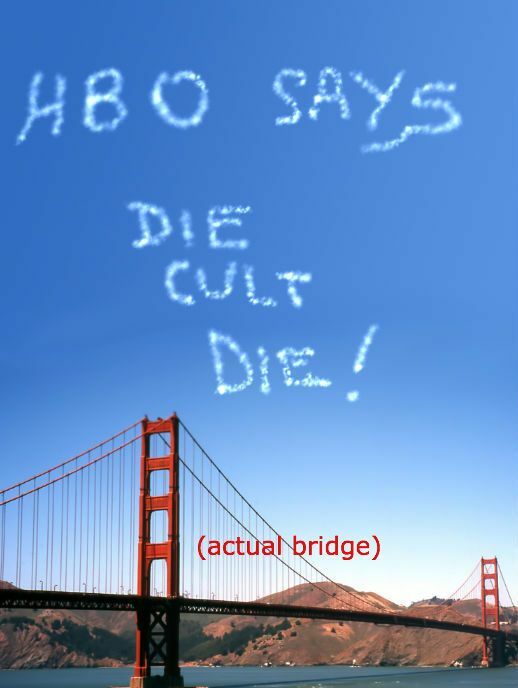 WHY DIDN'T THE SCIENTOLOGY OT'S POSTULATES WORK TO STOP THIS FILM? 3. 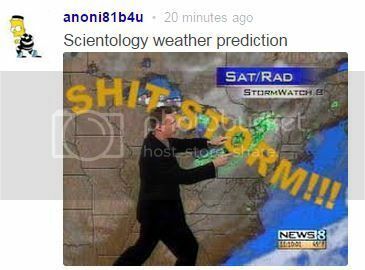 HOW CAN A WOG DOCUMENTARY FILM MAKER BE TOTAL CAUSE OVER THE COMBINED MIGHT & SUPERNATURAL POWERS OF ALL OF THE OTS IN SCIENTOLOGY, WORLDWIDE? 4. WHY DIDN'T THE ADMIN TECH WORK TO PREVENT THIS DOCUMENTARY? 5. WHY DIDN'T THE ETHICS TECH WORK TO STOP THIS SUPPRESSION? 6. WHY DIDN'T THE INTERNATIONAL OSA NETWORK STOP THIS DOCUMENTARY? So, why (despite all the tech and super-human OTs) did this documentary find a welcoming partner in HBO--the world's largest cable tv company, with 33,000,000 US subscriber-households plus distribution to another 151 countries, covering approximately 114 million additional foreign subscribers? INFO: In 1991 Scientology filed a $461m defamation lawsuit vs Time. Remember this? The suit was vicious and lasted many years, costing Time an estimated $7M in legal fees, before finally being fully exonerated. SO WHAT DOES THIS HAVE TO DO WITH HBO? HBO is owned by Time/Warner. Want Super Powerz? No prob. Next stop: Shunnington, Disconnecticut. Thank you for travelling with Clam Lines. Our motto: poorer service for ever more money. Our team will serve stale refreshments and relentless regging at your seats. This train will also stop in Ippnozis, Confusello, Dimwittington, Burnoutlands, Outmaxens, Bankruptoronto, Divorcal, and Brainwashington. End station: Peetee-Esthree. We wish you a crappy journey. Lawrence Wright with his niece. "So proud of my uncle. Going Clear was amazing." 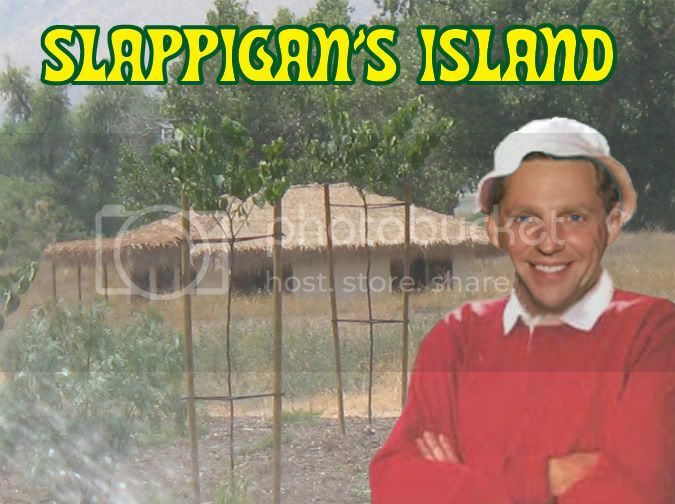 This is going to propel Tony's book onto the bestseller list. After Jenna's book and Going Clear, I was worried about fatigue with the subject possibly hurting Tony. His publisher really should rush to get it out ASAP as the interest builds once this hits the airwaves. It hits HBO mid March which gives a month and a half until the book is due to be released. I think he'd choose to get out - as he did before. But if David Miscavige is no longer delivering Tom Cruise, and in the light of recent failures... perhaps it would be time for a new COB? There's no one left to replace him. He's Chairman of a hypothetical Board now. He answers to no one. IMO the cult collapses before he is replaced. He may be implementing that escape plan many have suspected him of having. Time to implement Bluebird Tech soon. LOL! I didn't mean that DM would be escaping soon. I think a lot more needs to happen before that becomes an option. I do think that no one will replace him, and that the cult would instead just collapse. I just think that no one will replace him, and that the cult would instead just collapse. I agree with that. Chan, Cardone, Flasch, Chen, Ethier, and a few others will try to fight over the scraps, but it will crumble and shred in their hands as they try to grasp it. Most cults don't survive the death of their founders, this one was a huge exception, based on the strength of the glue Laffy put in the trap. But Miscavige has been weakening that glue over the years by making himself part of the matrix without adding anything to its strength. Now, only those completely covered in glue have not escaped, and when he goes, the glue will turn to dust and the cult will shatter.